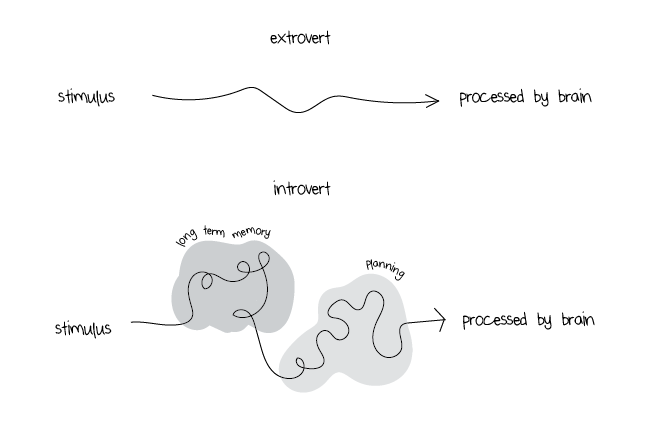 I thought this illustration was interesting, but I should introduce it with the note that an Introvert site presented it. The practical result for today is the Meyers Briggs Type Indicator which is used by many businesses and organizations for pre-employment screening, leadership development, team building, and career counseling. Oh! And marriage compatability! There are several sites on which you can take different renditions of the Meyers Briggs. And there are also many books you can read for more information. Many books.